The Saskatchewan Roughriders has landed all-star defensive lineman Micah Johnson. 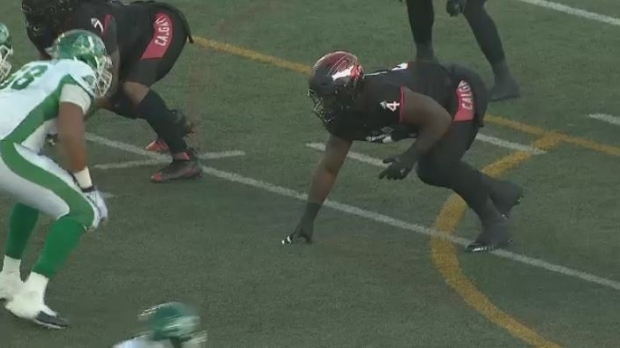 The contract is for one year and, according to TSN sources, will make him the highest paid defensive player in the CFL in 2019. Johnson spent the past six seasons with the Calgary Stampeders. He has 158 career defensive tackles, 41 sacks, six forced fumbles and two interceptions. In 17 games last year, Johnson had 28 defensive tackles, finished second in the league with 14 sacks and three forced fumbles. Johnson is a three-time CFL all-star (2016-2018) and a two-time Grey Cup champion with Calgary in 2014 and 2018.